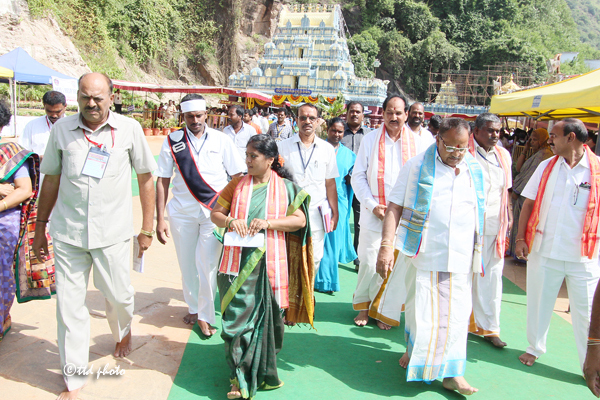 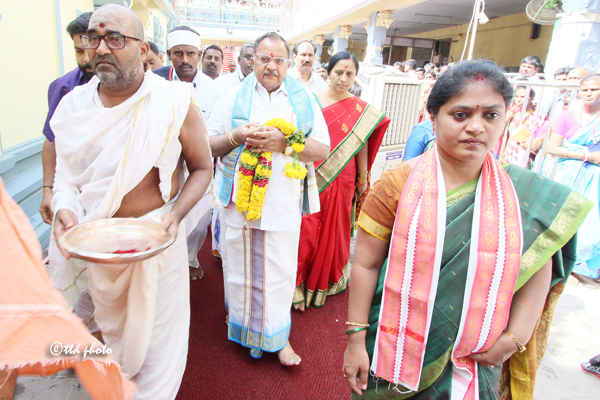 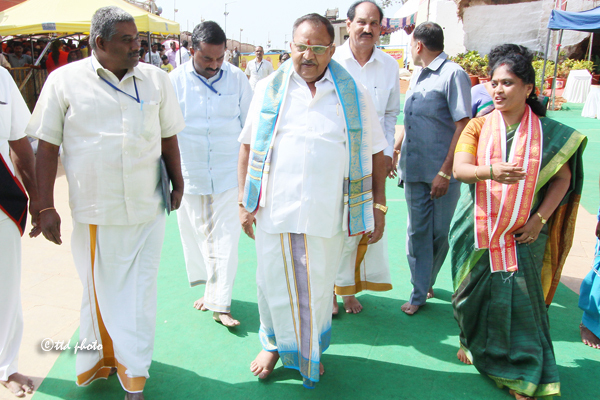 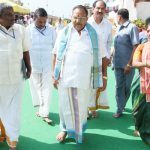 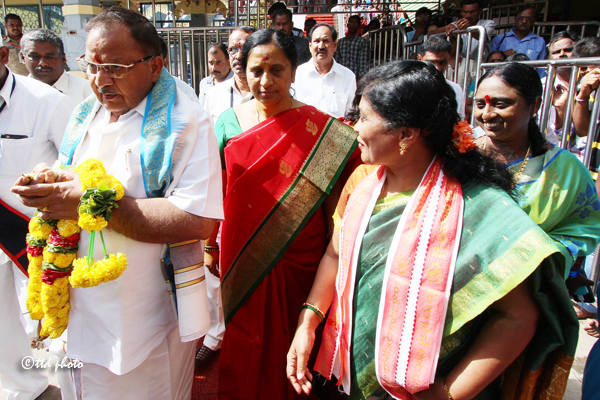 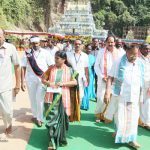 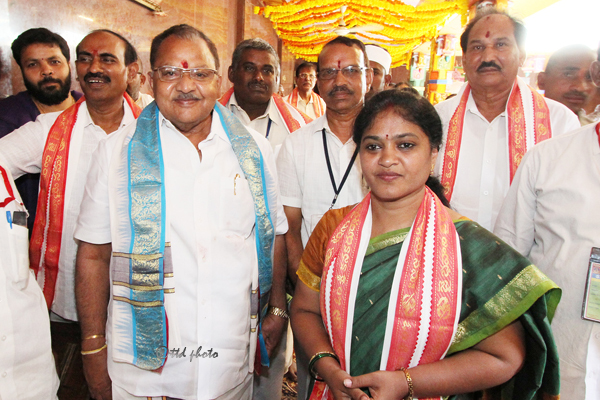 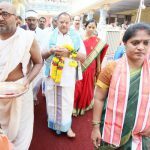 Vijayawada, 20 August 2016: The TTD chairman Dr Chadalavada Krishnamurthy visited the Kanakadurgamma temple and also darshan of the premier deity. 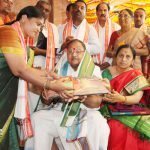 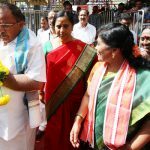 The Chairman and his spouse were presented temple honors and given a ceremonious reception by the EO Smt Surya Kumari and the temple priests. 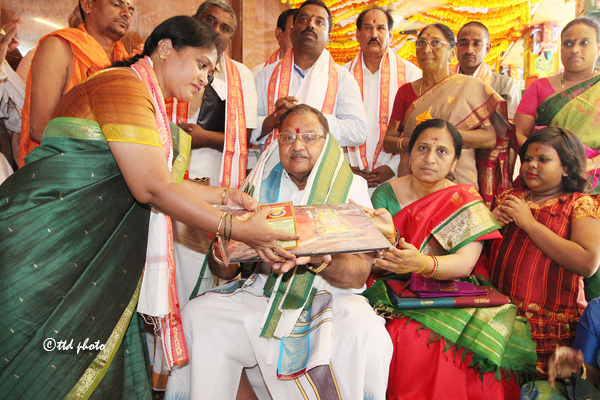 They were also presented temple prasadam and also ashirvachanam by vedic pundits later. 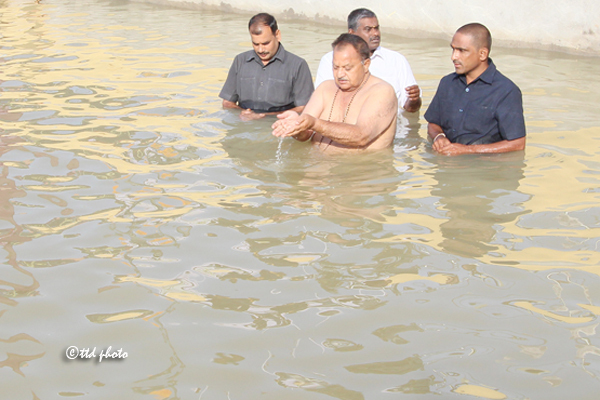 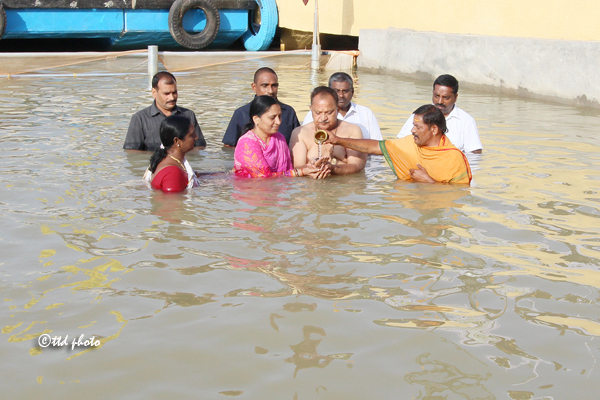 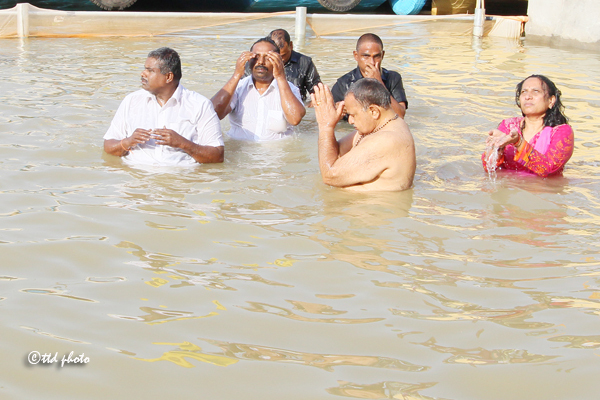 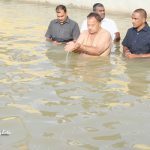 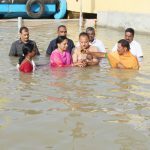 The chairman and his family members earlier bathed in the holy punnami ghat.